Your New Profile is Here! 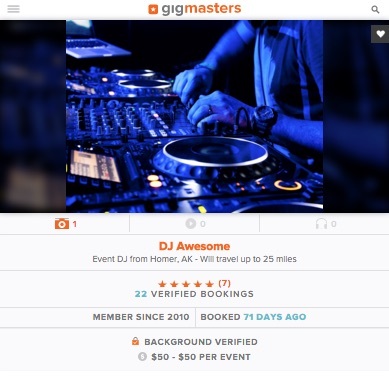 Your profile is the storefront for your business, and it’s our job here at GigMasters to give you a great foundation for building that storefront. We take this job seriously, which is why we have redesigned our profile pages to make sure you look your best for potential clients. Today, we’re happy to unveil the finished product - and you’re going to love it! The new profile pages are sleek, SEO optimized and enhanced for mobile. Let’s take a look at the changes we’ve made to improve the client experience and increase your requests. Although you can’t see it just by looking at your new page, these new profiles are optimized for search engines. We want clients to find and request you, so we’ve made some important tweaks to get your individual profiles ranking higher in search results on the web. Remember: the easier you are to find, the easier you are to request! 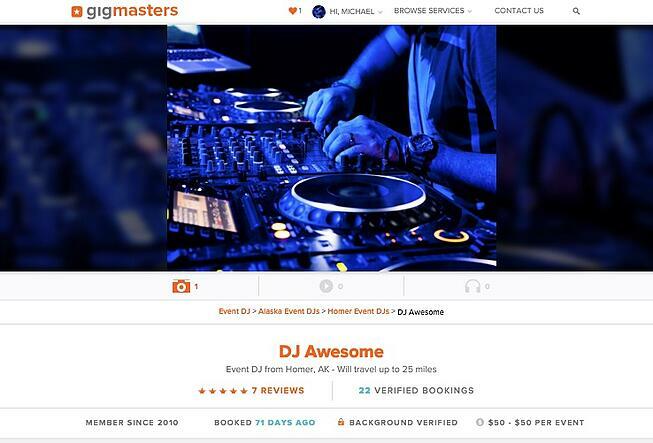 We want to make it as easy as possible for clients to request you on GigMasters. That’s why we’ve added a “Request Free Quote” button that stays with clients as they scroll through your profile. The button floats at the bottom of the profile, making it easier than ever for clients to request your services. Cheers to more leads!! If you visit your new profile on a mobile device, you’ll notice that it looks good. Really good. Your profile is designed to be viewed anytime, anywhere, on any device. With both member and client feedback in mind, we made some big updates to the way we display media on the profile pages. The new media section is big, bold, and positioned to help you look your best to potential clients. All of your photos, videos and audio are displayed prominently at the top of the profile. With that said, we recommend you take some time updating your media to really impress your profile visitors. Here’s how. To better highlight individual achievements on GigMasters, you’ll notice that your Awards and Badges are now displayed near the top of the page. But that’s not at all - we’ve also redesigned all of the awards and badges you’ll see in this section. They’re more eye-catching, and do a better job of showing clients what you’re being recognized for. We’re excited about the new profiles and confident that they will drive more leads your way. We recommend you take some time looking at your profile from a client’s perspective to make sure you are promoting your business as best you can. If you need any help or have any questions, don’t hesitate to contact our Account Services Team. As always, feel free to share your feedback in the comments below. Enjoy your new profile!